A water-catchment dam in the remote village of Bilo is now able to collect rainwater during the rainy season so the women don’t have to walk up to three hours a day in search of water. Government-sponsored attacks on the people living in the Nuba Mountains prevented us from further water infrastructure work. We turned our attention to much needed crisis relief. Two successful delivery projects took place from 2011 to 2013. See below for detailed information. 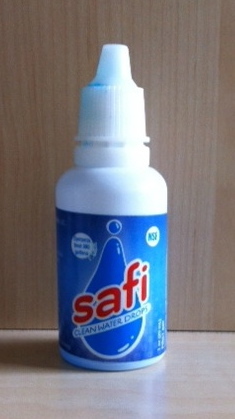 One drop (1 oz) of Safi cleans one gallon of water for drinking and cleaning. This bottle costs just over $4 and can provide clean water for a family of six for almost one month. We currently send in small shipments with people traveling to Sudan. Safi has been delivered to Juba, Yida Refugee Camp, Equatoria, and the Nuba Mountains where it is being used very effectively. George Tuto returned safely to Denver after a three-month saga in Africa. His unfailing determination to help his people in the Nuba Mountains aided him in overcoming a multitude of obstacles and dangerous situations to deliver almost $20,000 of medicine, medical supplies, soap, and salt to areas where daily bombing still occurs. 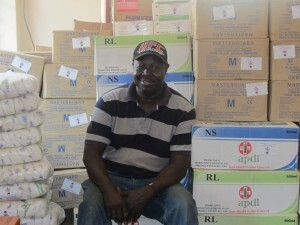 This was the first shipment of emergency supplies to get to the region where it is desperately needed. 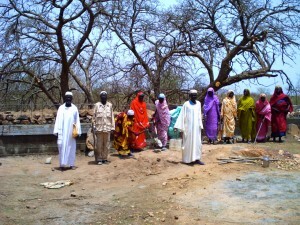 Nuba Water Project provided $10,000 from the 2011 Walk for Sudan to supplement money raised by Bishop Andudu, Diocese of Kadugli, through the Episcopal Church. 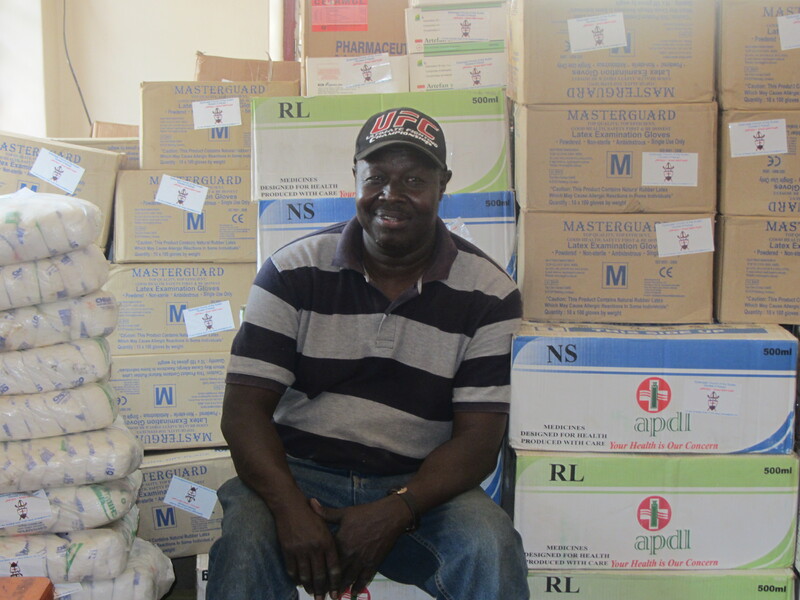 George purchased 15 bags of salt, five boxes of soap, and 152 boxes of medical supplies, including bandages, antibiotics, gloves, medicine for malaria and diarrhea, and more. After many delays, George was able to fly with the supplies by Samaritan’s Purse flight to Yida, a refugee camp on the border between North and South Sudan. From there, he hired a truck and began a risky three-hour journey into the Nuba Mountains where he found people desperate for help, many of them living in caves to avoid injury from bombs. Supplies were delivered to three main clinics over the next few days; from there, they will be distributed to outlying areas.